Global business demands brought energy intensive industry to Iceland and powerful international corporations have built up their operations here, providing Landsvirkjun with a solid revenue base. The rapidly changing environment of the energy market has created new opportunities for Icelandic energy. Competitive, long-term, reliable contracts give Landsvirkjun a competitive edge in this changing environment and new business opportunities enable the Company to further diversify its customer base for the purpose of minimising risk factors for Landsvirkjun in the future. Today Landsvirkjun offers 12 year, long-term energy contracts at $43/MWh. These terms are amongst the most competitive in the world. Landsvirkjun is active in dynamic marketing abroad. This year the Company took the initiative of inviting potential clients, from energy intensive industry, to assess the option of moving their operations to Iceland and using Landsvirkjun as their energy supplier. Data centers, metallurgical grade silicon metal production and carbon fiber industries were the focus of Landsvirkjun’s marketing efforts. Landsvirkjun offers the most competitive electricity prices in Europe with long-term contracts at $43MWh. In comparison, the average spot market rate for electricity in the period between 2010 and 2013 was $66/MWh in the Netherlands, $57/MWh in Scandinavia and $59/MWh in Germany. Energy demands have increased rapidly in the last few years and energy prices have reached a historical high worldwide. There are indications that demand will increase worldwide and many European countries are already prepared to pay high energy prices in order to ensure the security of supply. Landsvirkjun’s customer base has expanded in the last few years. New industry fields have chosen Iceland as the location for their operations. This is because Iceland offers competitive, long-term energy contracts and the assurance of security of supply. A new long-term agreement on energy supply was entered into with GMR Recycling ehf and took effect this year. GMR Recycling uses electricity to recycle waste from aluminium plants and other sources. 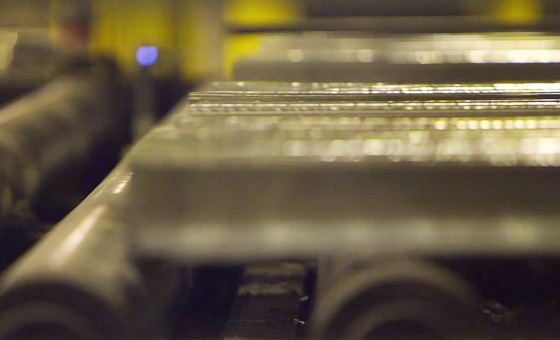 Landsvirkjun will also sell its energy to the German company PCC who intend to construct a metallurgical grade silicon metal production plant at Bakki near Húsavík. Landsvirkjun signed Letters of Intent with regard to the main components of energy contracts with several other companies in 2013. In 2013, Landsvirkjun sold 13.186 GWh of energy: the highest energy sales in Landsvirkjun’s history. Hydropower: 12.337 GWh, Geothermal: 500.5 GWh, Wind power: 5.5 GWh Landsvirkjun operates 13 hydropower stations, 2 geothermal stations and two wind turbines, in five areas of operation, all over Iceland. We believe in an integrated approach where prudence, reliability and the harmony of operations with the environment and society, are fundamental to our operations. Landsvirkjun’s total energy generation for 2013 was 12.843 GWh. Over 85% of the energy is utilised by energy intensive industry and nearly 15% is utilised by smaller companies and for domestic use. 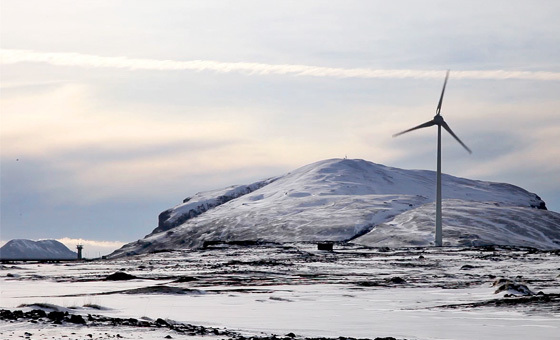 Landsvirkjun generated 12.712 GWh of electrical energy for the Landsnet transmission grid in 2013. 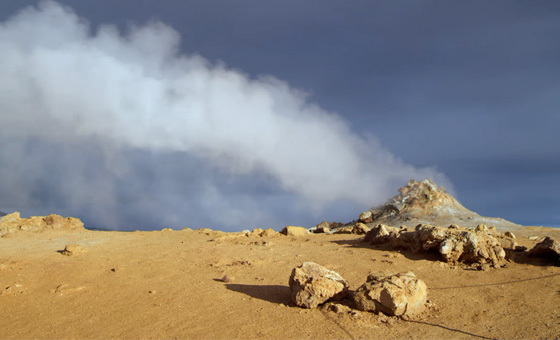 Hydropower generates 96% of the energy and 4% of the energy is generated using geothermal energy. Landsvirkjun generates electricity from renewable energy sources such as hydropower, geothermal energy and wind power. The natural cycle of water is utilised to produce electricity and is therefore dependent on the weather. The hydropower system utilises this natural cycle by collecting the glacial melt in its storage reservoirs to utilise over the winter period. Weather conditions in Iceland are unpredictable but energy consumption is similar between years. This means that much of the water can end up in the spillover of the stations during an average year. 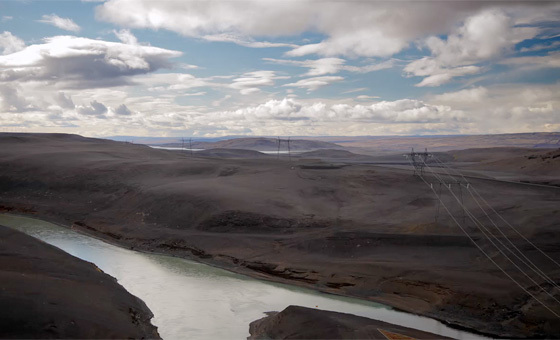 The water inflow to Landsvirkjun’s reservoirs in 2013 was unlike that of previous years. The summer was cold and dry and glacial melt was under average.Reservoirs did not fill in the Þjórsá, Tungnaá and Blanda water catchment areas. The Hálslón Storage Reservoir filled up towards the end of August and remained full for three weeks. Reservoirs are an effective storage unit for electricity. Landsvirkjun has a storage capacity of 5150 GWh.The highest level reached was 4500 GWh, in 2013. In 2013, an assessment of the Blanda Hydropower Station was conducted in accordance with theHydropower Sustainability Assessment Protocol (HSAP). The results of the assessment show that Blanda meets Proven Best Practice on 14 out of 17 topics assessed using the Protocol. The protocol assessed 17 differing topics, pertaining to the operation of Blanda, in order to assess the sustainability of the hydropower project when compared with international standards.Landsvirkjun will use the experience of the assessment to do even better in other areas of operations and to support the sustainable use of natural resources. The Blanda Hydropower Station is a 150 MW hydropower station in the northwest of Iceland. The Station generates approx. 910 GWh for the Landsnet transmission grid. Blanda meets Proven Best Practice on 14 out of the 17 topics assessed.